Wintergardens are glass structures which are alternative to traditional house extensions. 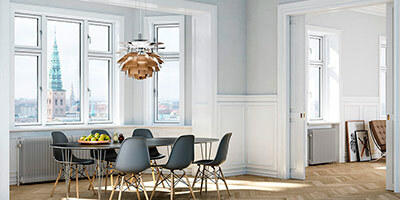 The system has been developed by German manufacturer Solarlux. The company offers aluminium and aluminium clad timber spaces designed to increase livings space closer to nature regardless the weather outside. 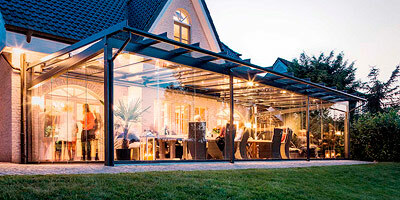 All Wintergardens components like roofs, bifolding doors, glass panels are designed and manufactured by Solarlux. The climate inside is managed by interior or exterior awning and blinds operated manually or electronically. Solarlux Wintergarden has been created to enable the user contact with nature all year around thanks to thermal properties of the system. “You can soak up every ray of sunshine, witness the power of the wind and falling snow and rain”.